A freelancer is one who works independently and serves different offers for clients. In simple word, freelancing is a kind of profession where a freelancer can work for himself with no liability and no bonding. They can use their own skills and knowledge for their clients on a contractual basis. By freelancing a person can complete his task as a contractual base or per working hour base. But in a professional job where a person has bound to follow office rules and work routine life like a 9am-5pm job. In freelancing where a person can work independently and operate his profession in freedom way. So freelancing is a platform where a person works for his client base on the agreement or hired by a client in return for agreement payment. A freelancer can complete his agreement task at anywhere like at home, travel car etc. place. A freelancing profession in my views like as self-employed, freedom profession. Experience may differ person to person. Freelancers must have sufficient experience in their working field. They have to recognize their working pattern and their skills. Freelancers must identify their specific clients whom they promote their offers. So experiences may big realities for freelancing profession. Other market freelancers how to handle or retain their clients. Skills need to motivate clients. The freelancing profession is self-oriented activities; it’s like a personal business. In this profession, income is not certain. Income or earning may differ. There are many freelancers join in this profession as part-time or full-time bases. Income depends on how much working load they can avail, about their skills and presentation and their working performance. Working Hour is not fixed for freelancing. It’s total freedom profession where a freelancer can work in his or her way. Sometimes freelancer and client come into the contract. In that case, the task has to complete on that fixed period of time. But no rules of a fixed working hour like office as 9am-5pm. So working hour is not a big fact for a freelancer. Freelancing is nowadays a popular profession in the world as well as in Bangladesh. Many people like students, housewife are interested in this profession because it has no liability, no bonding. Some people switch their job and build their career as a freelancer because they didn’t enjoy their office job. So profession like that where a person feels his working pattern, identify his passion and enjoy whatever they do. Another reality of this profession that many freelancers are not getting a fruitful job demanded a job as they required. Someone who involve in a job they also start hate and switch profession into freelancing. So Enjoyment is one of the big ideal realities in freelancing. A freelancer is an independent professional person. The only freelancer can rule out on his activities. In a simple word that a freelancer is like “You become your own boss”. They can work when they wish, they can take own working decisions. So many beginners in today’s are encouraged to build up their career as a freelancer. There are many realities stands with freelancer’s life. But some effect also occurred. The freelancing profession is better than other but some time needs to spend more time for submit client tasks. In some cases, client’s negative review may distract daily activities. For beginners need to spend any time to create an account, website designing and get a job from clients. This may distract freelancers. Freelancing income is not fixed as a full-time office job. Suppose, Mr. X freelancer, who worked 5 clients job in September, his earning on September $500. but in October, he got only 3 clients job, his earning stands $300. So this type of cash flow battle occurs in freelancing life. So the realities of a freelancing differ. It depends on freelancer, how they work, how long they invest their time, how to handle clients. Overall the realities that stand that a freelancer has positive and negative sides. In fact, in our life, everywhere many positive and negative things happen. Someone engaged with their 9am-5pm office job, some are in the business field and some are doing freelancing. Everywhere has a different impact; freelancing realities also have some impact. It depends on freelancer how they overcome these issues and build their profession path strong. The freelancer profession is challenging. They have to make their profession pattern in their own way. Many people simply identify freelancing is a home based profession. It does not matter its home-based or self-owned business, the matter is how to build a platform through overcoming different levels of difficulties. A freelancer can build their profession uniquely. Different platforms and options are available to build a career. One can set up their goal as web designer another can choose Search Engine Optimization as a profession. They can offers service towards their clients in different ways. Like as the web designer can work for a client and his service is designed clients website. In another case, SEO freelancer can work on some sites to get a specific audience for his marketing purpose. You can take proper SEO training from any SEO professional. 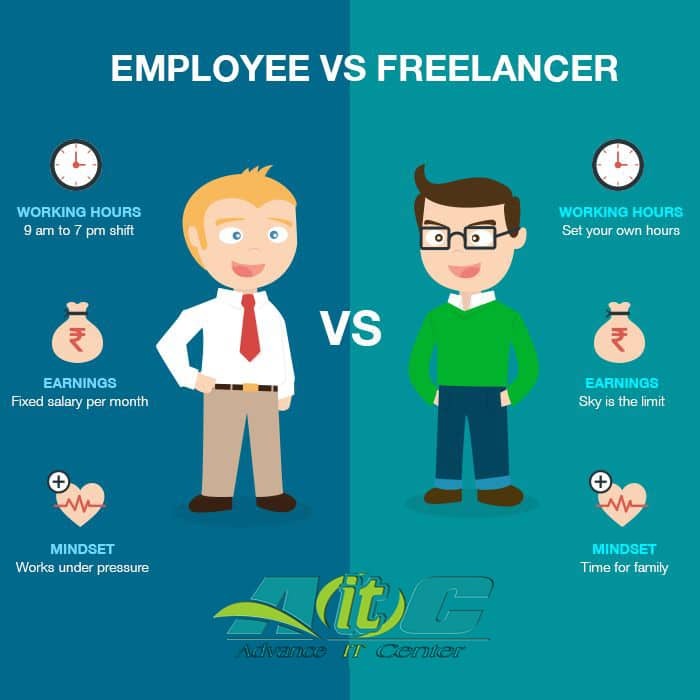 So freelancer profession is unique and not similar to office or desk job. Full-time freelancers focus on their career professionally and their earning pattern is higher than others. They can work for several marketplaces and clients and promote services. Part-time freelancers are those like – student, job holder, businessmen. They choose this profession for making a different income source. These type of freelancers works in the dual profession and make strong their economic currency. So by freelancing, a freelancer can make their own income path through online by working different sites. The income varies on freelancers working performance, presentation, and skills. More time they invest and work more money they can earn from clients. And they can keep all the income as profit and no need to pay and media charge. There are many countries has an unemployment problem. Millions of Graduate comes to the job market to build their career. But many of them not get their aim job. Like Asia, Middle East and many other places where this problem increases. By Government and social media process, the freelancing stands like a friendly profession for unemployed people. Like the USA, UK and Asia are now developing through freelancing. A freelancer can get involve a work and express his knowledge and creative idea to their clients by promoting different types of services. So freelancing is a part of employment where freelancers can build their lives, their status. The life of a freelancer is so flexible that they can work for any person, anywhere in their country, anywhere in the world. In simply say that freelancer can work everywhere, a global marketplace like Amazon, Ali-express etc. Place and specific platform like office, shop not require for delivering services. No doubt that freelancing is a platform where the only freelancer can rule out. He’s or She’s the boss and makes own decision. They can plan the work like-How they make, design the sites etc. So freelancers are moving to this profession and build their own online market store and offer services in their own method. You choose the clients you want to work with and the projects. So before accepting a task from the client, a freelancer must acknowledge these issues. Working is not certain, so income also differs. The monthly income also differs. So income and workload not as usual like a full time paid salary job. Freelancer working hour is not specific or routine wise. They can work anytime as they wish. But in some cases, that might stand as big issues. If longer time works, than health, become sick. If the lower time to work, income ratio may effect. Some cases, clients need quick services, if freelancer does not avail that time, he might miss the project. All clients are not frank and friendly. Some kinds of clients are like to ask inappropriate questions, some ask different category or pattern type work. These types of client handling some time effect on freelancer career. If properly project not submitted or presentation not encouraging than client might give him a negative review, which impacts on his future project promotion. So first identify what client ask, what their requirement. Then get the work. So the life of being a freelancer contains many pros and cons, many benefit sides and risks. It totally depends on freelancer willingness, how they overcome the risk and convert them into a positive way. Nothing in this world is easier, everywhere and every profession is challenging. Freelancer has to fight with this disadvantage issues and keep updated and make his fortune. Some freelancers need initial cash investment to purchase computer software, domain, hosting, themes, plugin, office equipment, websites etc. So now you know the advantages and disadvantages of freelancing, You must decide if it’s for you. Freelancing work is like a freedom profession where freelancers become a boss and make his professional decisions. They have no bonding and no working hour rules. Where in a Salary job, workers introduce as an employee who works under a management team and they have bonding to report his working performance daily. They have worked with many clients in marketplaces. Work independently and make decision own sense. No pension fund option like a salary job after retirement point. Though freelancer is the boss of himself, as a sole operator, he may be affected if his decision gone wrong. Not get paid all time, some cases fraud clients don’t pay their services, which may demotivate freelancers future workflow. Working with a management team and make a community. Office environment may impact on job performance like office politics. The threat of loss job at any moment like private sectors. Lack of time for parents, family and kids. Every creative will have to make the decision between full-time (salary) work and freelance or part-time work. There are pros and cons on each side but the final decision comes down to the needs and wants of the individual. The life of a freelancer and a salary paid job, both are a different level of professions. Freelancing is independent, freedom and flexible profession and a salary job have fixed income flow but other facilities are not available. Many people are willing to do a job to build their present and future both economically strong. Job holder wants to make his income path strong. They want a future backup with their pension fund. In freelancing, a freelancer may not get all the facilities like a salary paid job. But they can build their life and their professional role independently so they can rule out the marketplaces. No bound, no contractual agreement requires more flexibility they have to work and offer services for clients. A freelancer can make his decision own and do their role unique way. To be a freelancer, need to know own personal role, the capability of accepting the risk factors, willingness to work hard and industrious. Lots of research required before launching a project in online. A proper guideline, outsourcing training, IT related Knowledge practice and hardworking may help a freelancer to make their career successful. In circumstances, the realities of freelancing have many pros and cons. If one decides to become a freelancer than he needs to understand the profession well and aim to work hard to reach the peak point. Thus a freelancer will set his own status in online marketplaces and become the role model for next generation.